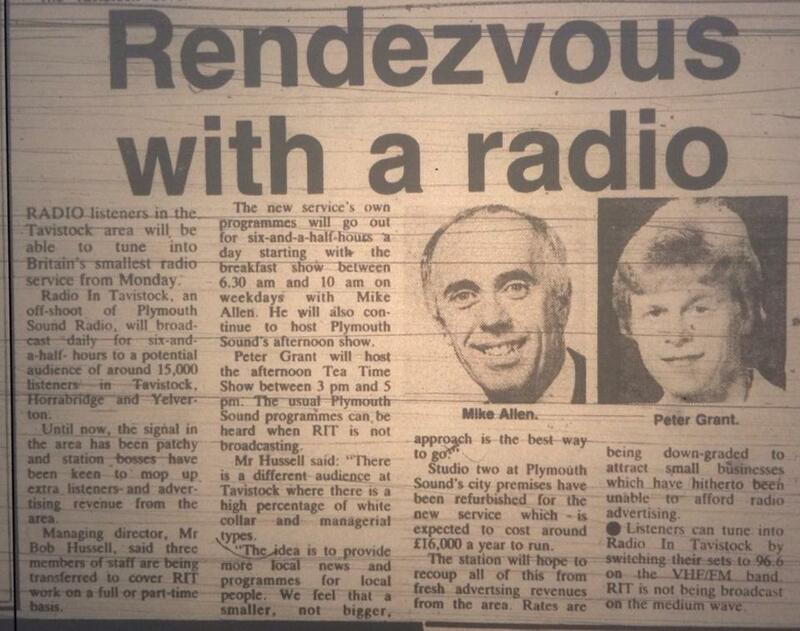 Thanks to Gordon Sparks for sharing this press cutting with us from 1985 about the new Radio in Tavistock off-shoot from Plymouth Sound, which continued running until 1991, when it closed to save money. 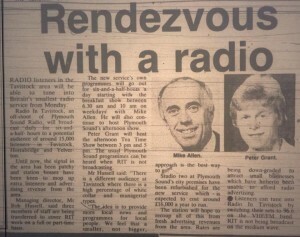 The station broadcast on the 96.6FM frequency, and reverted to Plymouth Sound’s broadcast when there wasn’t a local programme. Let us know if you have any press cuttings, photos or stories you would like us to share on the website. get in touch through the contact page or in the Facebook group.